Twitter is the new classroom – are you marked absent? On March 21, 2015, Twitter will celebrate its 9th birthday. 9 years ago, Jack Dorsey sent out the first tweet in 2006, at a time when the micro-blogging social network was known simply as twttr. Those who are interested can read Twitter’s full origin story. Twitter is a great place to learn and be a leader. It is quick, easy and full of information. 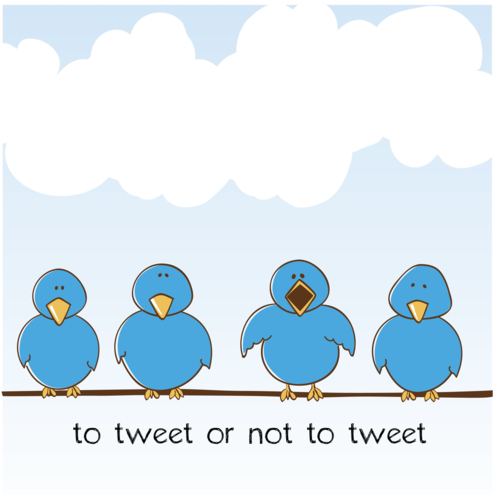 However most of us are unsure of many things when it comes to Twitter. Few years ago I shared 5 ways to get the best out of your twitter account however there is much more that we need to know. If you still do not have a Twitter account, then see how to create my twitter account deck. Recently I read an article which said, the employees, who are not on Twitter should be fired. And I would not completely disagree. Twitter is a big classroom and most of your employees are absent. How do you plan to compete with the competition? The problem: Modern information moves at a breakneck pace, and you and your team need to keep up. Twitter has varied use cases which can help you become more productive – from micro-blogging to finding a job, from quick answers to keeping up with the news, from learning to being an SME… the list is endless. Everyone is learning. The question is – Where are you? Please share with me what is one thing that you admire about Twitter? And if you are not on Twitter then share one reason why. May be, I will convince you why you should! ← Will you #ScorewithData and #WontGiveItBack? Thanks Khalid for sharing a great story , I have a Twitter account which is now 5 yrs old but when I look back when I started the social space has certainly evolved.